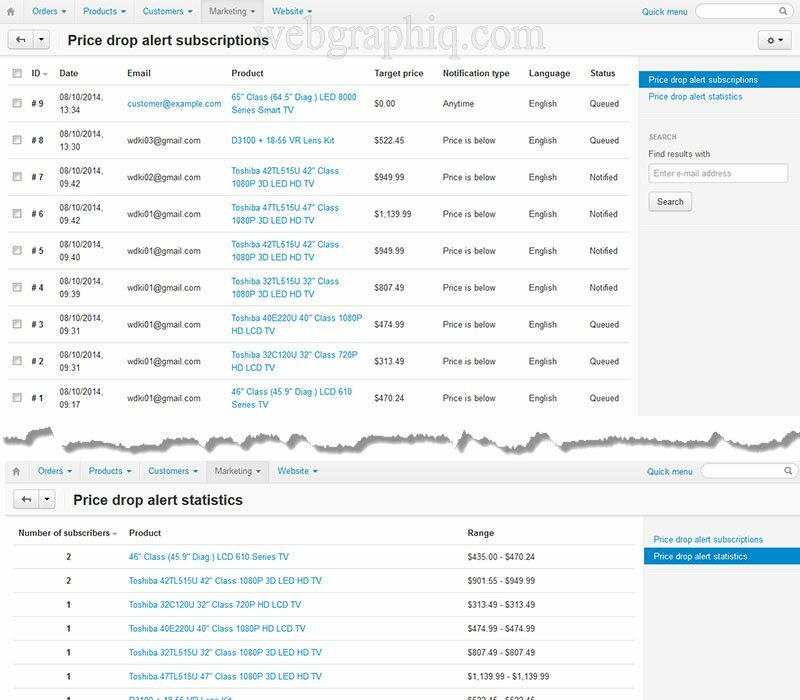 The Price Drop Alert* add-on for CS-Cart helps visitors to signup for an alert when the product they are interested in drops in price and comes within their budget constraints. 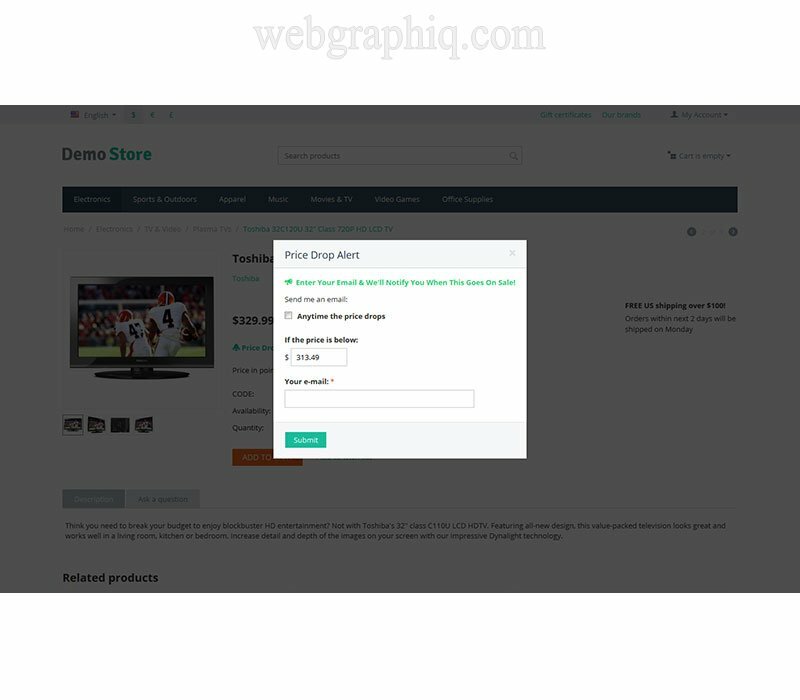 This allows you to bring visitors back to your store and convert potentially interested visitors into customers. 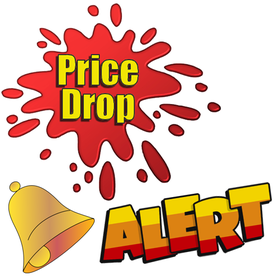 The visitors can choose to either receive notification of any drop change in price or to only receive a notification when the price drops below a certain value as selected by the visitor. This means that a client who is too busy to frequently return to your site can simply click a button and stay informed on the price of their product of interest. What's opt-in subscription? 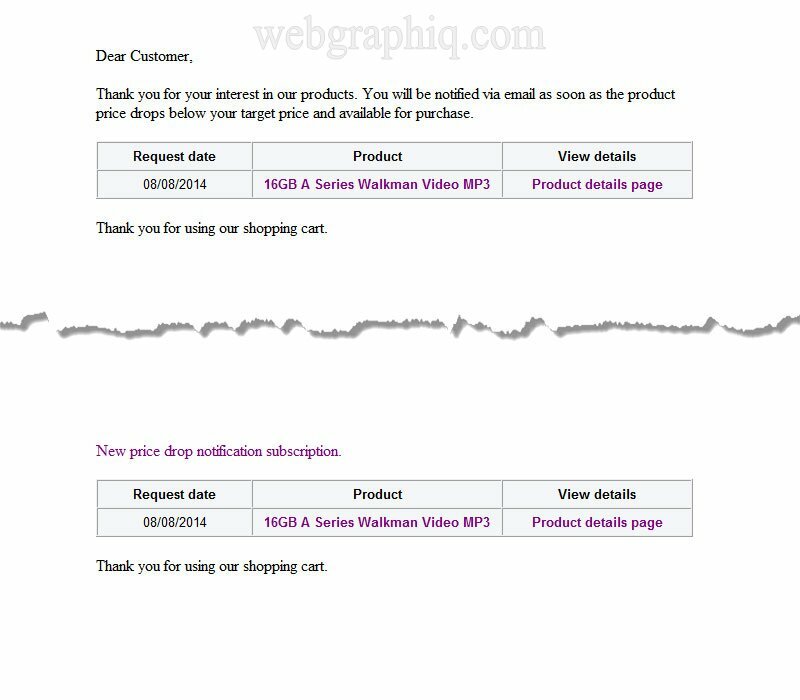 A term that refers to promotional e-mails that have been requested by the individual receiving them. 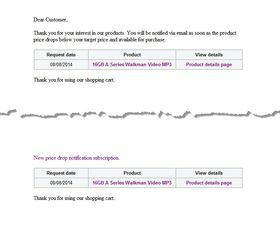 A new subscriber asks to be subscribed to the mailing list, but unlike unconfirmed opt-in, a confirmation email is sent to verify it was really them. Unlike spam promotional e-mails that get sent out to large lists of recipients without regard to whether or not they want the information, opt-in e-mails are only sent to people who specifically request them. 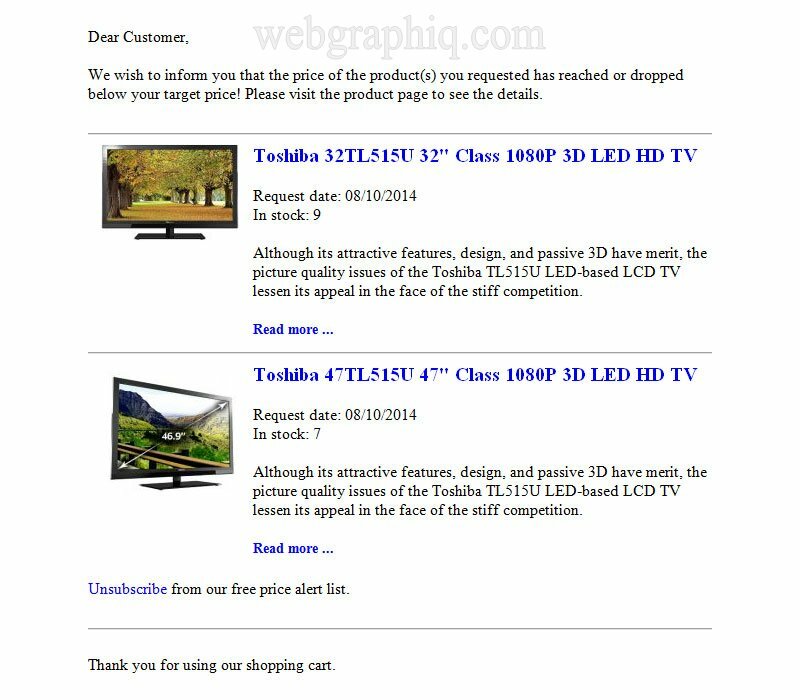 You are bound to sell more as visitors come back and buy when the price falls, which would not be the case without the price drop alert functionality on your CS-Cart product pages. Your clients will enjoy the convenience of having their price watching done for them. 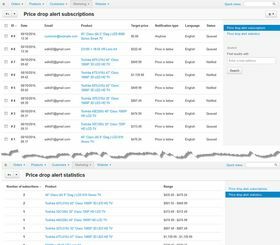 * Currently the add-on can track only the price changes made on the product administration page! Does not track the deals, promotions, other offers or changes made with other methods. If you want to offer promotions, deals we recommend to use our Deal of the Day with Alerts add-on. I love the way this extension is bringing lost customers back. 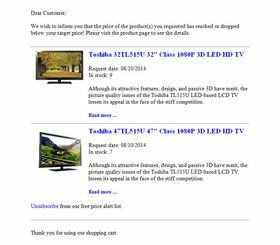 I am frequently dropping my prices, the extension sends out an email to customers. I have noticed an increase in traffic and sales via this extension. Thank you.